Imagine the beautiful characteristics and charm of any traditional sash window, then imagine all of that charisma without any of the stigmas – those annoying rattles, draughts and non-sliding casements of the past. Here at Evesham Glass, we are able to offer the perfect solution for your home. 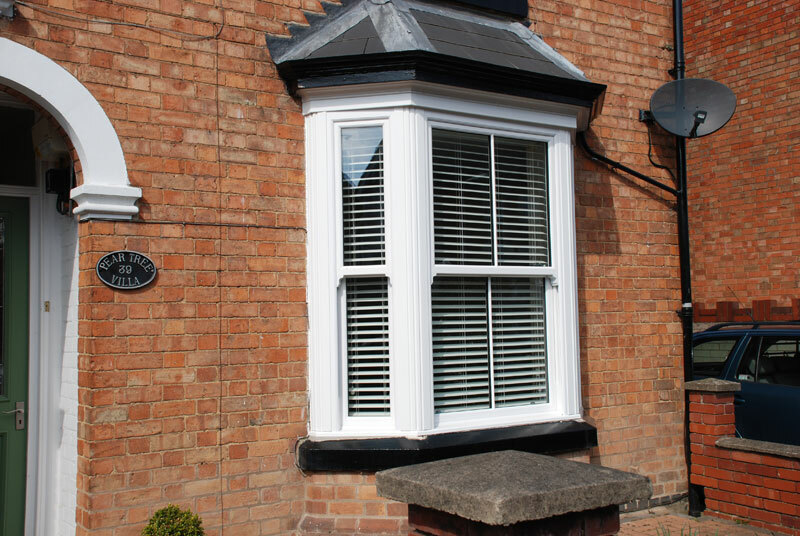 Our uPVC Sash windows are hard wearing and also virtually maintenance free. They require no painting as there is no discolouring, cracking or flaking. Meaning you avoid the problems you get with timber frames, such as warping and sticking. The modern opening mechanisms are durable, long lasting and secure. They are double glazed and fully sealed, they also keep your home warm and quiet. Evesham Glass’ vertical sliding sash windows complement the appearance of any period, town or country home. The sashes slide up and down with an easy action and can be held in any opened position by the counter-balancing mechanism. Our uPVC modern sash windows, just like our other products, are tailor made to you and your home and also come with a fantastic 10-year warranty. Book your appointment for more information today. All our building work is backed by a 10 year guarantee. If you’re interested in a Free No Obligation Quote then contact us now! Are You Interested In A Quote? If you are interested in our services please get in touch with the Evesham Glass and Glazing team on 01386 442 234 and we will be more than happy to assist you with your requirements.